On March 20, 2015, the International Agency for Research on Cancer (IARC) announced that it had classified glyphosate, the active substance of an herbicide best known as Monsanto‘s Roundup, as “probably carcinogenic to humans,” essentially on the basis of “limited evidence of carcinogenicity in humans for non-Hodgkin lymphoma” and “sufficient evidence of carcinogenicity in experimental animals”. 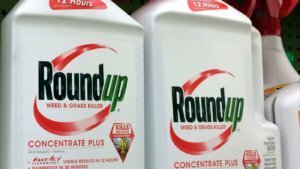 A few days thereafter, some bounty-hunting law firms started to recruit potential litigants, people who had been struck by a non-Hodgkin lymphoma (or their successors in title) and could claim to have used glyphosate. On March 29, 2015 — nine days after the IARC announcement — two of them also hired (p. 71 – contract here) Christopher Portier, who had been an “invited specialist” at the IARC working group, as expert consultant to assist them in the forthcoming litigation. 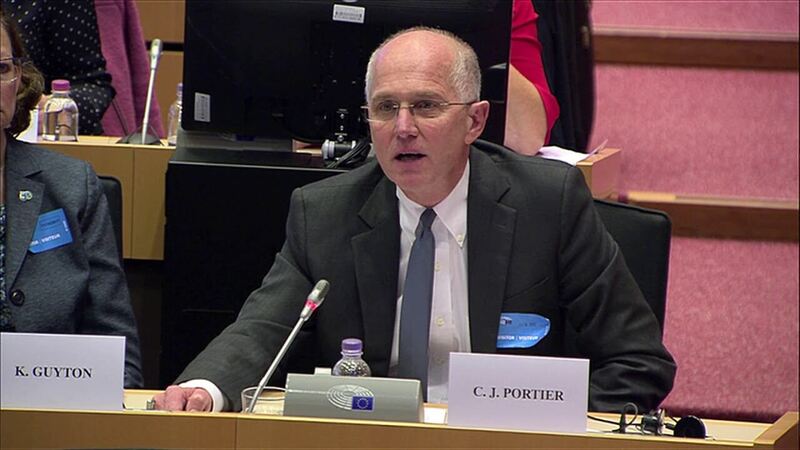 Portier was already working for one of them on another case which also involved an IARC classification (p. 78), a conflict of interests that was not reported to IARC and would never had come to light were it not for the glyphosate litigation. The complaints were centralized with the District Court for the Northern District of California. The US Right to Know got involved to publicize elements of the files that would stir up public opinion against glyphosate and Monsanto, no doubt to create the “right” atmosphere for a successful outcome of the litigation. But Reuters‘ Kate Kelland reported on some other pieces, telling inconvenient truths about the IARC process, causing the USRTK to post all or almost all declassified documents. Those documents added much fuel to the debate surrounding the validity and honesty of IARC’s classification and unveiled some very disturbing facts. It would be quite a job to list all criticisms of and concerns with IARC‘s decision which, on the basis of the weight of evidence, is fundamentally flawed in terms of both substance and procedure. Much has been written on a fact revealed by the deposition of Aaron Blair, a retiree of the (US) National Cancer Institutes who had acted as the chair of the IARC working group: the working group did not consider the latest results of the Agricultural Health Study (AHS), a large cohort of 89,000 farmers and spouses from Iowa and North Carolina. Why? Because they had not been published and IARC would not consider, as per its rules, unpublished data. And on account of those rules, Blair, so he said, did not report on them (and even less suggest that the classification process be stalled). Was he alone in the know? Doubts are not unwarranted as regards both other working group experts and some IARC staffers who by necessity maintain close contacts with the former. Y et, during his deposition, Blair admitted that those results would likely have changed the classification to a lower category had they been taken into account “given that IARC – your meta-analysis – was just barely statistically significant at 1.03 in the lower bound” (p. 183 – these are the words of Monsanto‘s lawyer). But why were those data not published? One would then surmise that the authors would hasten to publish another paper. The litigation file includes two drafts from February and March 2013 (here and here), “Risk of total and cell specific non-Hodgkin Lymphoma and pesticide use in the Agricultural Health Study”, showing an absence of effect of glyphosate. The paper did not make it to publication. At the current time IARC is making plans for a new monograph on pesticides. Considering IARCs timetable for selecting candidate pesticide for the monograph, it would be irresponsible if we didn’t seek publication of our NHL manuscript in time to influence IARCs decision. Since all authors and every federal agencies involved has signed off on the current content of the paper, we should be ready to submit very shortly and we should change the current manuscript as little as possible, if at all. Fact is, IARC launched the evaluation process for four organophosphate insecticides (diazinon, malathion, parathion and tetrachlorvinphos) and the herbicide glyphosate on March 12, 2014. Yet, the draft was not updated and hence did not go further. IARC thus drew its conclusion on the basis (in part) of the previous set of AHS data (“Cancer incidence among glyphosate-exposed pesticide applicators in the Agricultural Health Study,” De Roos et al.). The updated data were eventually published in “Glyphosate Use and Cancer Incidence in the Agricultural Health Study” (Andreotti et al.) on… November 9, 2017. 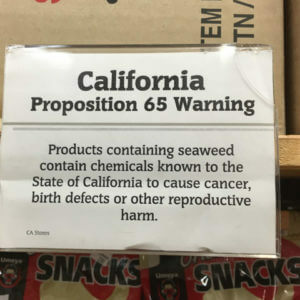 No doubt an upshot of the glyphosate litigation and the activism deployed against the renewal of the marketing authorization for glyphosate. But the question arises why it did take so long. Would it be that, at the National Institutes of Health…? The discovery procedure also revealed a strange NIH E-mail dated September 16, 2016, to Blair. It was interpreted by Monsanto‘s lawyer during Blair’s hearing that there was resistance within the NIH to sharing the AHS updated data with Monsanto (page 213 of the transcript). Putting various elements together leads to a picture of conspiracy to scupper the renewal of the marketing and use authorization for glyphosate, both in the United States of America and in Europe. For it to be successful, the publication of scientific and regulatory assessments in favor of glyphosate had to be delayed. In the USA, the EPA assessment suffered a series of delays which warrant a story by themselves. Let us simply recall that the U.S. House of Representatives Science, Space & Technology Committee has raised serious concerns about the delays and some odd events. The group was chaired by the now famous Christopher Portier who, the week before, was still a Senior Visiting Scientist in his capacity as Senior Collaborating Scientist, Environmental Defense Fund. So there is not only the issue of a perk offered to an environmental activist (to our knowledge, he is the only one to have enjoyed this privilege), but also that of his conflict of interests as Chair of the group. Surprisingly for outsiders — but people with experience know it was out of necessity — Portier appears on the list of participants as a retiree from the Centers for Disease Control and Prevention. 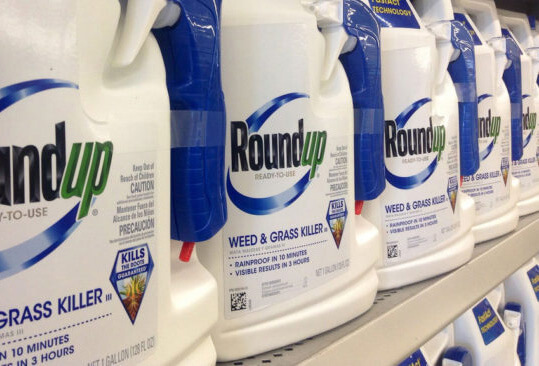 On the last but one day of the working group meeting, the assessments were not sufficient for a “probably carcinogenic” for glyphosate and the rating for carcinogenicity in animals was beefed up (deposition of Matthew Ross, pp. 132 et seq.). The outcome of the working group was announced — on March 20, 2015 — whilst the monograph was far from being ready… but on time to interfere with the European authorization renewal process. Reuters found 10 significant changes that were made between the draft chapter on animal studies and the published version of IARC’s glyphosate assessment. In each case, a negative conclusion about glyphosate leading to tumours was either deleted or replaced with a neutral or positive one. Portier’s E-mail correspondence reveals a web of unholy alliances between IARC staff, some IARC working group members, and activists. An example is ARC‘s Kurt Straif’s E-mail, dated May 12, 2016, to Portier and Hedwig Emerig, focal point of the German Green Party for biotechnology and bioethics (easy access to the mail here): he shared a reference to an article by USRTK‘s Carey Gillam, clearly to provide ammunition against the finding of the FAO/WHO Joint Meeting on Pesticide Residues that “ glyphosate is unlikely to pose a carcinogenic risk to humans from exposure through the diet” and that there was “absence of carcinogenic potential in rodents at human-relevant doses”. Led by Christopher Portier, half the members of the IARC working group signed, with others, a letter, dated November 27, 2015, to the European Commissioner for Health and Food Safety Vytenis Andriukaitis to urge him to disregard the positive assessment of glyphosate from the European Food Safety Authority (EFSA). How to better illustrate in retrospect the conflicts of interests which presided over the IARC classification? Perhaps also, for Portier – an “invited specialist” to the working group – and also Charles Jameson (this fact is less known) to act as experts and consultants for the predatory law firms (as does Dennis Weisenburger, a scientist involved in the AHS studies). 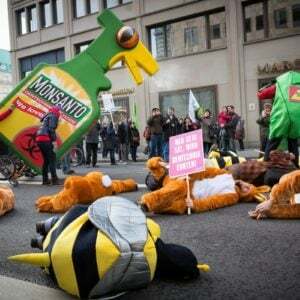 Or for Portier to lobby against the reauthorization of glyphosate in Europe, in part on behalf of NGOs, with the European Commission and the European and German Parliaments, but also Ivan Rusyn at the German Parliament (this fact is less known). Jameson and Rusyn were more than IARC working group members: they chaired the subgroups on cancer in experimental animals, and mechanisms, respectively. A detailed Powerpoint presentation was given on June 3, 2015, a mere two and a half months after the IARC classification, at Mississauga (Ontario), at the annual conference of the Canadian Society for Epidémiology and Biostatistic. After adjustment for the usual factors and, in particular, the use of three other pesticides (2,4-D, dicamba and malathion), the odds ratio was not significant for NHL (1.22 with a confidence interval of 0.91 – 1.63, which includes 1). And when retaining only respondents, without the data from survivors of deceased users (proxies), it sunk to 1.04 (CI 0.75 – 1.45). In other words, a “null” result. Let us incidentally note that this exercise illustrates a weakness of case-control studies accruing from the difficulty of obtaining reliable information. What also matters here is that Aaron Blair is mentioned in this presentation as one of the investigators on the US side, as is another member of the IARC working group, John McLaughlin, from the University of Toronto. So what to conclude? Not published, thus not reported to the IARC working group, thus not taken into account, thus IARC maintained its course to final wreckage. We shall refer here to two events in reverse order to keep the suspense intolerable. The NAPP study was also presented at IARC‘s 50th anniversary, celebrated from June 7 to 10, 2016, (A detailed assessment of glyphosate use and the risks of non-Hodgkin lymphoma overall and by major histological sub-types: findings from the North American Pooled Project, Manisha Pahwa et al.). Incidentally, this was a large-scale celebration, but with zero invitee from industry… a testimony to the anti-industry hysteria prevailing at Lyons. The abstract was published by IARC but, conspicuously, there is no PDF when all other speakers of the relevant session provided one. Remember: the Mississauga presentation could have been recycled, but… an inconvenient truth would have become obvious. Results: Unadjusted for other pesticides, subjects who ever used glyphosate (N=133) had a significantly elevated NHL risk (OR=1.43, 95% CI: 1.11, 1.83). […] Except for SLL [small lymphocytic lymphoma], risks attenuated when adjusted for other pesticides. Conclusions: This analysis suggested that glyphosate use was associated with increased NHL risk. Risk differences by histological sub-type were not consistent across glyphosate use metrics and may have been chance findings. Nevertheless, the NAPP’s large sample size yielded more precise results than previously possible. How should we take this? Giving figures that are not adjusted for all confounding factors does not meet the canons of the scientific approach. He nevertheless signed on the paper (perhaps because he obtained the addition of “risks attenuated when adjusted for other pesticides”, a casual admission that the results are less “beautiful” than presented. Among the authors there were IARC working group members Blair and McLaughlin, and also expert witness for a predatory law firm Weisenburger. The question arises whether IARC has been complacent, closing their eyes to something which amounts to plain crookery and fraud. 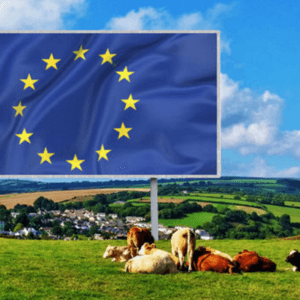 Complacent or worse, defending beyond all reason its previous “probably carcinogenic” classification, moreover at a time when emotions were running high in Brussels and European capitals, and major agricultural and economic interests were at stake. A communication was also made at the 27th Conference of the International Society for Environmental Epidemiology, which took place in São Paulo from August 30 to September 3, 2015. The abstract again referred to the figures unadjusted for the use of other pesticides, but without the caveat subsequently included in the IARC abstract. Blair’s deposition is also enlightening in this respect. There was an E-mail exchange between Manisha Pahwa, Cancer Care Ontario, and Blair in the second half of August 2015 (pp. 239 et seq. of the transcript). Pahwa shared her slide deck for that presentation with the co-authors in advance, “given the sensitivity of the topic”. You may interpret: given that there is something to conceal or at least downplay. What to conclude? Clearly, the scientists were aware of the factual weakness of IARC‘s classification and at least some of them were determined to obstruct the manifestation of the truth. It is also hardly conceivable that some IARC staff have not been alerted to the “dangers” arising from that event and, more particularly, to the results of the NAPP. An article was in the making and was at an advance stage in September 2015. Again, it did not state the adjusted OR in the summary. Given that many readers would not go beyond the abstract – should the article not be behind a paywall – this amounts, once again, to a deliberate attempt to mislead. Overall, 113/1690 cases (6.69%) and 244/5131 (4.76%) controls reported that they had used glyphosate at any point in their lifetime. There was a significant association between glyphosate use and the risk of NHL overall (ORa=1.43, 95% CI: 1.11, 1.83) (Table 2). […] Associations were attenuated and no longer statistically significant when the model represented by ORa was further adjusted for ever use of 2,4-D, dicamba, and malathion (ORb). The odds of SLL did not change even after adjusting risk estimates for these three pesticides. And the article was never published. And Weisenburger enters the merry-go-round! Already serving as an expert witness for litigators on the plaintiffs’ side, he wrote an E-mail in August 2016 to Portier and then turned to Blair to say: “It seems important to get our U.S.-Canadian paper on this submitted soon so it can be considered in this [the European] review” (pp. 256-257 of Blair’s deposition). Why would Weisenburger be keen to advance the European process to a result fatal to glyphosate? Obviously to advance the cases of his employer. Public perception has it that science produced by industry or sponsored by them is unreliable, essentially as profit-driven and unattentive to social and environmental welfare. 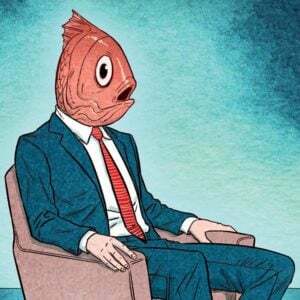 The misgivings are of course carefully nurtured by anti-business and anti-technology activists and their accomplices and fools in the media and social networks. And, confronted with well-publicized cases of fraud, one would have a hard time explaining that serious profit-driven enterprises have good reasons to produce good science in support of their activities. In contrast, it is taken for granted that non-sponsored public research is excellent and deserves our full confidence (even Andrew Wakefield still has his fan-club…). The IARC glyphosate saga delivers another picture. One where science has been flouted and society betrayed on a large scale. The U.S. House of Representatives Science, Space & Technology Committee has launched an inquiry into IARC for compelling reasons. It appears that there is an even greater need to look into the workings of some national institutions in the United States (and Canada) dealing with socially debated and emotionally charged issues. The IARC glyphosate saga seems to be just the tip of the iceberg. 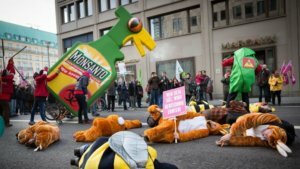 What the glyphosate litigation has already achieved is documenting an underground world of alternative science. André Heitz is an agronomist by training and former United Nations system civil servant (International Union for the Protection of New Varieties of Plants – UPOV – and World Intellectual Property Organization – WIPO). He blogs in French at http://seppi.over-blog.com/.